What’s the scariest mirror of all? 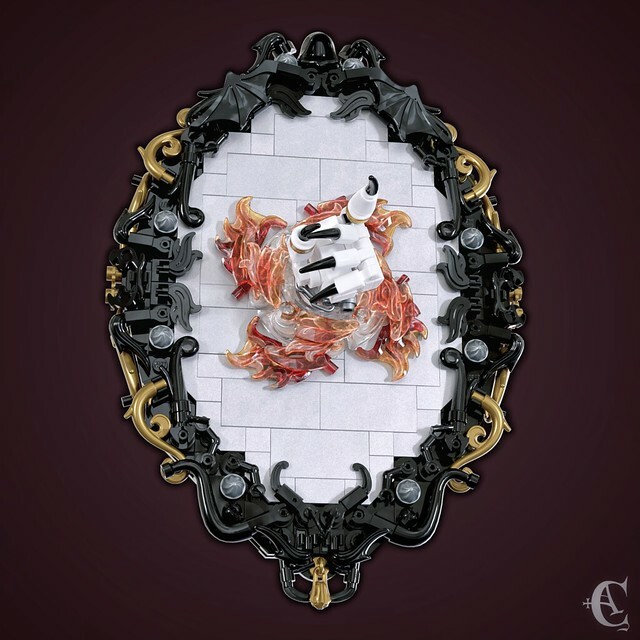 This ghastly-looking LEGO mirror built by Corvus Auriac comes close. While the ornate frame is largely black, pockets of gold and silver peek through in a futile attempt to rein in the darkness. I love the ghoulish hand extending from the mirror, singling out its prey with a pointed finger. It’s a frighteningly good build!